Villagers were left agape after a cattle rustler was hit by lightning after being threatened by the duped owner. 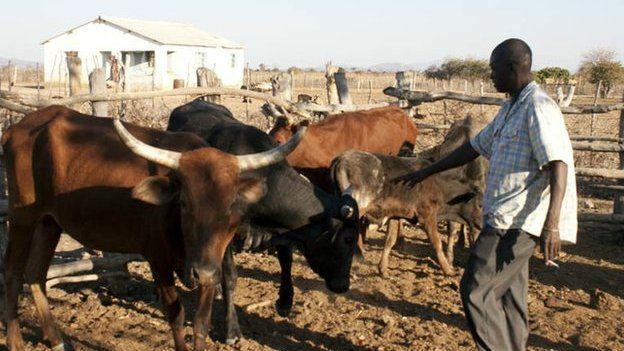 It is alleged that Zibonele Ngwenya of Mazizini in Lupane stole three cattle from a neighbor and sold them. The cattle found their way back to their owner after being sold. The neighbor is said not to have taken the matter to the police, but threatened the rustler saying "ozithetheyo, uzazibonela". Which means, the one who took them should beware. Ngwenya was struck by lightning while herding his cattle and lost three from his own heard after the threat, leading villagers to believe it was the disgruntled neighbor at work. To make matters worse,weeks later Ndlovu was found wailing with a broken arm in a nearby forest saying he was attacked by the same cattle he had stolen. Gilbert Ngwenya, the village headman confirmed the incident and said villagers are still dazzled because of what happened. "Arrest Mugabe for missing $15 billion"